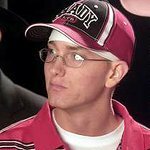 Eminem's charity helps disadvantaged youth in his home state of Michigan. It has made donations to food banks and youth groups and participates in fundraisers with organisations such as Eight Mile Boulevard Association. Google trends for "Marshall Mathers Foundation"
We don't have any videos related to Marshall Mathers Foundation.